Swab First Pty Ltd has conducted an investigation on the presence of drug residue contamination on bank notes sourced directly from Australian banks. The purpose of the study was to inform the community of levels of drug contamination present on environmental surfaces that people come into contact with every day. The study investigated the presence of methamphetamine (ice), amphetamine, cocaine, heroin, cannabis and ecstasy (MDMA) on one hundred and fifty-two $50 Australian bank notes. Only 8% of the banknotes samples had no detectable drug contamination. More than one illicit substance was detected on many of the bank notes. 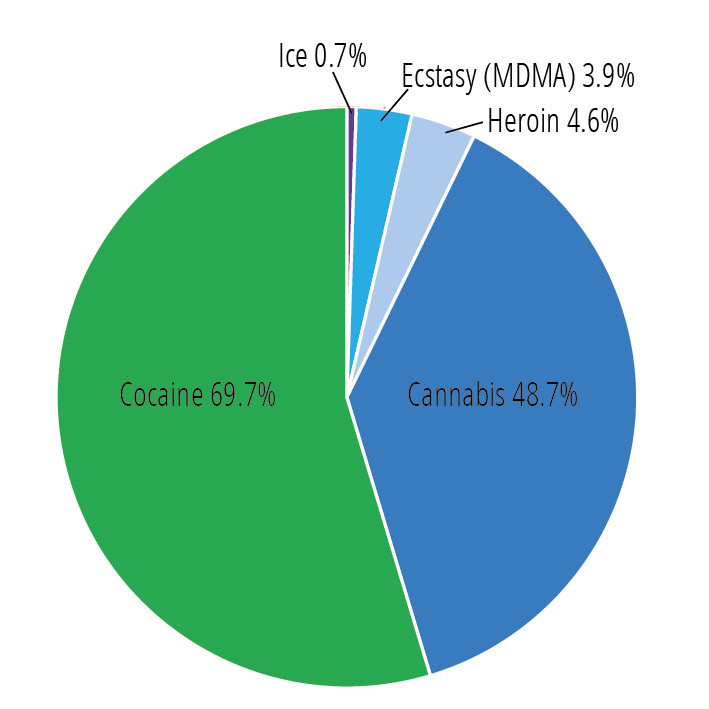 Figure 1 is a summary of notes where drug contamination was found.Cocaine residues were found on most currency analysed, with very high levels found on approximately 3.5 percent of notes. Presumably, the very high residue levels observed on some notes are associated with the use of these notes where cocaine is being used, manufactured or distributed. Cannabis residues were commonly identified on cash samples presumably reflecting the relatively widespread use of this illicit drug in the Australian community. Opiate and amphetamine-based drug residues were found less frequently than those of cocaine and cannabis but still indicating the presence of these drugs in the Australian community. The role of cash in facilitating illicit drug transactions may be responsible for the near universal presence of illicit drug residues on large denomination Australian currency. Figure 1: Bank notes with illicit drug residues. Our findings on the prevalence of drug contamination on high denomination Australian currency are largely consistent with observations in other drug residue prevalence surveys and investigations of international currencies such as the English pound, American dollar and the Euro. Evaluation of Euro banknotes has revealed the widespread background presence of cocaine and opiates and to a lesser extent morphine, MDMA (ecstasy) and methamphetamine(1). In the United States testing of $1 bills collected from 5 different cities has found 92% were contaminated with cocaine but also with heroin, morphine, methamphetamine and amphetamine(2). Similar results have been reported in evaluations of currency in Brazil(3) and England and Wales(4). One study in the US examined both US and foreign currency from Columbia, Qatar, India and New Zealand, and found cannabis and its derivatives on currencies from all countries(5). These studies suggest an extensive international distribution of illicit drugs on banknotes. As a consequence currency may be a particularly sensitive indicator of the use of illicit drugs in the community. 1. Wimmer, K & Schneider, S 2011, ‘Screening for illicit drugs on Euro banknotes by LC-MS/MS’, Forensic Science International, vol. 206, no. 1-3, Mar, pp. 172-177. 2. Jenkins, AJ 2001, ‘Drug contamination of US paper currency’, Forensic Science International, vol. 121, no. 3, Oct, pp. 189-193. 3. Almeida, VGK, Cassella, RJ & Pacheco, WF 2015, ‘Determination of cocaine in Real banknotes circulating at the State of Rio de Janeiro, Brazil’, Forensic Science International, vol. 251, Jun, pp. 50-55. 4. Aitken, CGG, Wilson, A, Sleeman, R, Morgan, BEM & Huish, J 2017, ‘Distribution of cocaine on banknotes in general circulation in England and Wales’, Forensic Science International, vol. 270, 2017/01/01/, pp. 261-266.